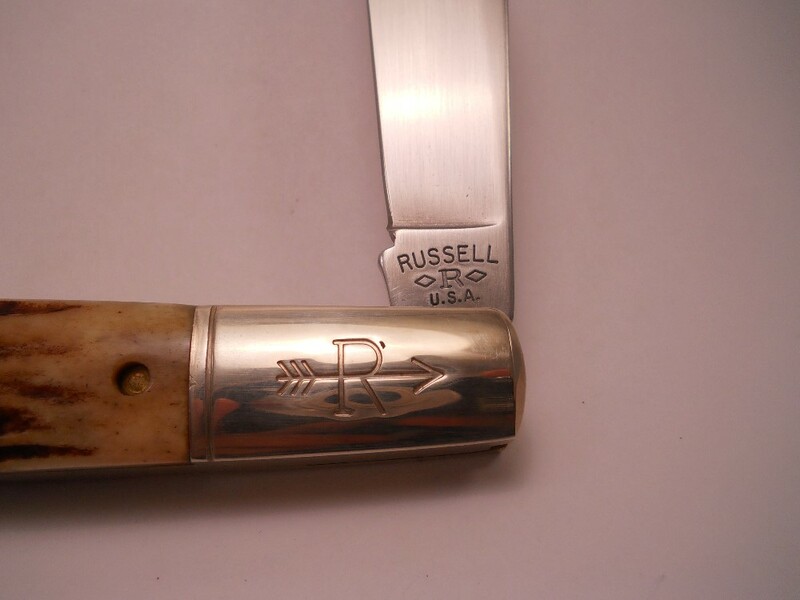 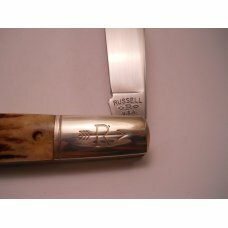 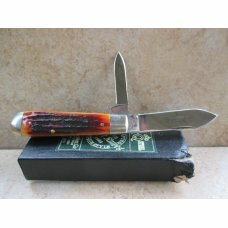 This is the daddy Barlow from the commemorative Russell Barlow set that I think was made in the 1980's. 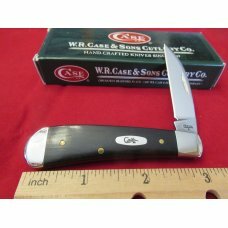 Knife has been in storage and has not been used or sharpened. 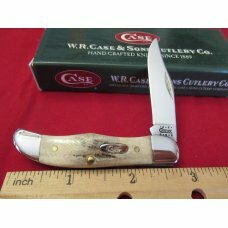 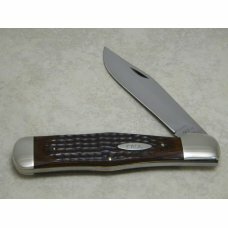 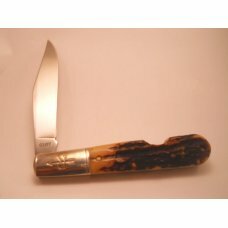 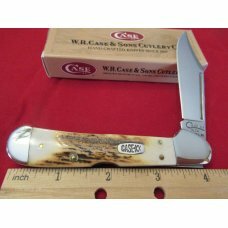 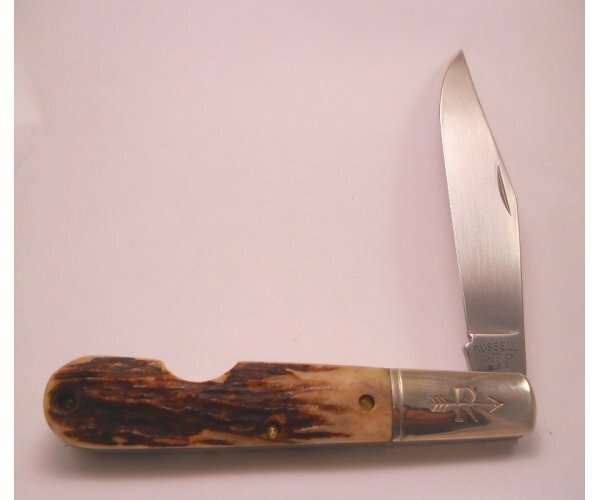 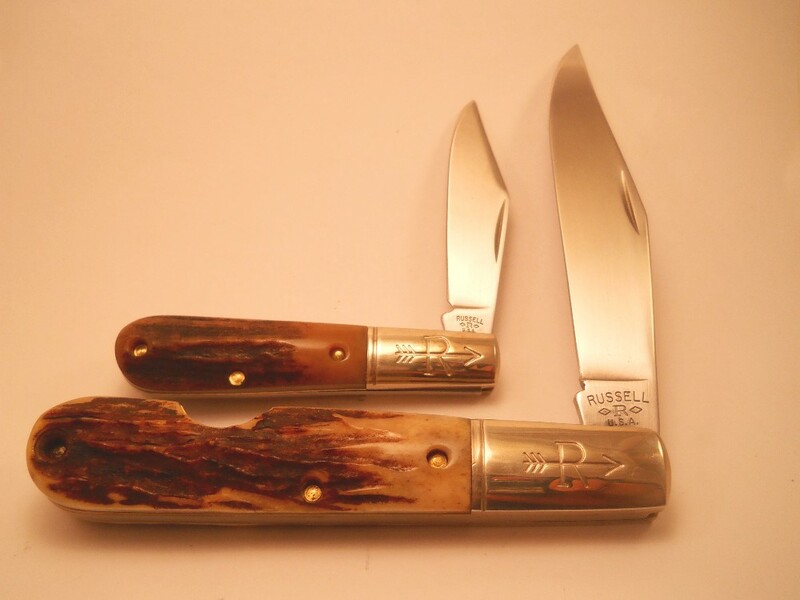 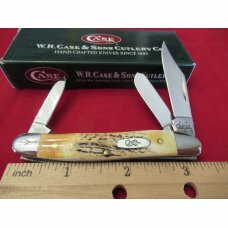 This is the variety with stag handles and that is much less common than the bone. 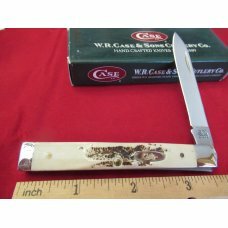 Knife is about 4 7/8" closed. 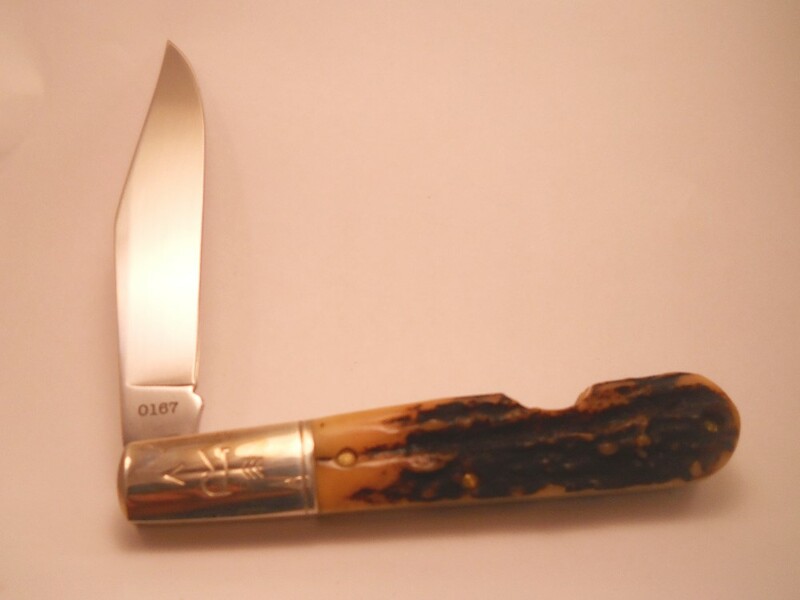 Serial # 0167. 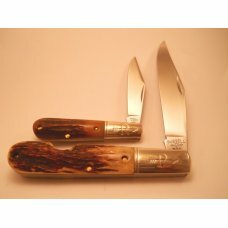 Note I have the other knife from this set also listed (last pic) , so long as both knives are available you can buy the set for $81.99 + $7.50 shipping. 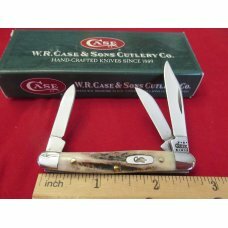 I do not have the box for the set. 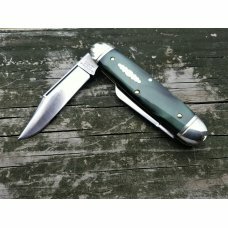 Ask for an invoice and we'll figure it out. 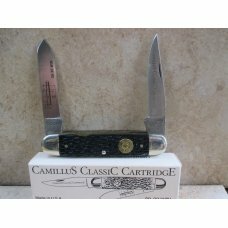 This is for the single knife only.